Embark on a luxurious voyage on Uniworld's one-of-a-kind boutique river boats! "No request too large, no detail too small:" This is the guiding philosophy behind Uniworld. 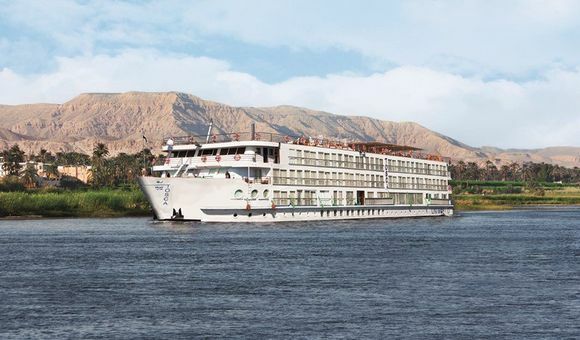 Sailing the rivers of Europe, Asia, Russia, and Egypt, Uniworld provides a one-of-a-kind experience to active travelers who enjoy all-out luxury and appreciate the finer things in life. Sail straight into the heart of Amsterdam's city center, or float along the scenic vineyards of the Douro. Undertake an exciting kayak trip through Roman aqueducts, or browse a local farmer's market at your own pace. Uniworld has a shore excursion for every interest and activity level and the freedom to choose as many as you want. Every Uniworld ship is unique, but they all have one thing in common: a flair for the dramatic. No matter which cruise you book, expect to see colorful furnishings, ornate artwork, and heavy canopies and curtains everywhere you turn. These vessels have no shortage of style, and the opulent interior design completes the vision of perfect luxury. Enjoy a worry-free vacation with no nickel-and-diming, as all food, beverages, gratuities, and most shore excursions are included in the cost of the cruise. Enjoy a decadent journey to Bordeaux and southern France on the River Royale. Wine-lovers and Francophiles alike will appreciate the onboard sommeliers, the luxurious decor, and the landmark destinations the ship visits. Designed like a traditional steamboat, the River Queen undertakes luxury voyages along several different rivers in Germany. Her Art Deco interior and bold design make her a favorite among travelers with a sense of style.